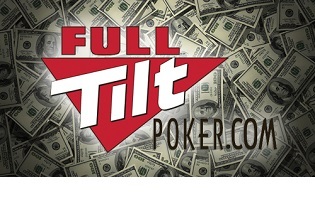 Full Tilt is busy reinventing itself as a poker room dedicated to casual players. The next step in the process will be the introduction of a new VIP rewards program which targets their needs, rather than the needs of regular grinders. The “Players Club” program will be based on a new game called “The Deal”. Players will earn entries to the new game by earning Full Tilt Points, and although details are not yet available, the game will distribute prizes at least partly by using a random process. The flagship prize will be an accumulating jackpot which starts at $100,000 and increases continuously until it is won. For players who can only achieve the lower tiers of their poker room’s VIP program, this is great news. Full Tilt’s Managing Director, Dominic Mansour, has said that 95% of players don’t receive large enough rewards through normal VIP programs to provide them with any incentive to play. Full Tilt is changing that industry standard to create a program where every player has the chance to win significant amounts of money regardless of how much they play, or at what stakes they play. All is not lost for existing Full Tilt regulars. The Edge Rewards program will remain, but change to having three tiers. Edge, Edge Plus and Edge Prime. Players will continue to earn cash back for their Full Tilt Points (FTP), but overall, at a slightly lower exchange rate than before. Edge status players receive $1 per 100 FTPs earned. Status will continue to be based on a 30 day or 100 day rolling average of player points earned. An innovation which applies only to players on the Edge rewards program is the introduction of a new symbol in the lobby to indicate games where additional cash back of up to 200% is available. Games where Full Tilt is finding it difficult to fill the tables will be marked with an Edge icon. Choosing to play those games will qualify players for extra cashback. Leaderboards for Edge players will also offer a month’s worth of extra cashback as a prize. Until the Full Details of the scheme are unveiled, it’s too early to calculate the exact impact of the changes in terms of their equivalent value as a rakeback percentage. If Full Tilt succeeds in changing the player pool so that there is a higher proportion of casual players, then even though the value of the VIP program has reduced, a greater winrate could mean that high volume players actually do better out of the new program. It’s not time to bug out yet, in fact casual players at other poker rooms would be advised to open a Full Tilt account to take advantage of the extra value the new Players Club scheme presents. Regular players should wait and see how the numbers stack up. If regulars do want to look for a new room now, and already have a PokerStars account, then Americas Cardroom provides a good alternative at the moment. It offers a VIP program that is almost identical to the one on PokerStars plus $1 million guaranteed tournaments, and a weekly non-contributory rake race called the Beast which boosts rakeback to pre-Black Friday levels. Bitcoin deposits are available and bitcoin withdrawals are processed in as little as a couple of hours.